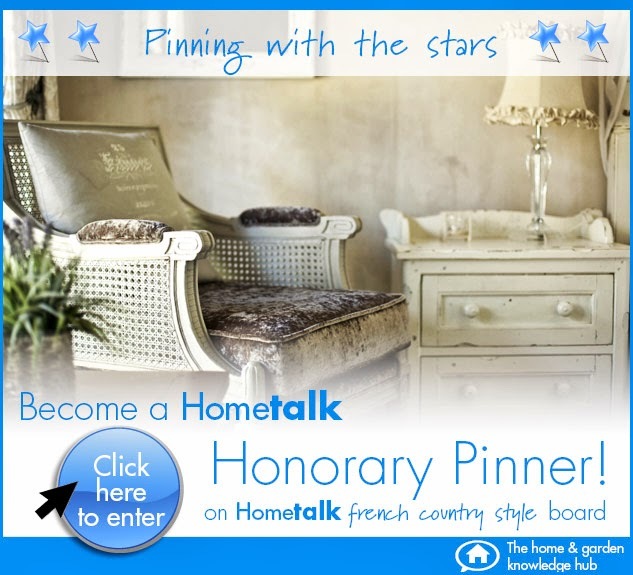 I have been an honorary pinner on Hometalk’s French Country Style board for quite a while now. Not only do I love pinning beautiful French style rooms, but the board has also given my blog great exposure and many new readers. Are you interested in joining our Pinterest group and winning a great prize? Hometalk explains how to enter below…. This is so exciting!! Thank you for bringing this opportunity to us!! Hope you will follow me on my blogs and on Pinterest. Love your pins and your blog posts! Dear Sherry I hope I have done everything correctly; it's early! Let me know!